Most people wonder what they would do if they ever hit the lottery. Working is usually not one of the plans, and if they say it is, they are probably lying. 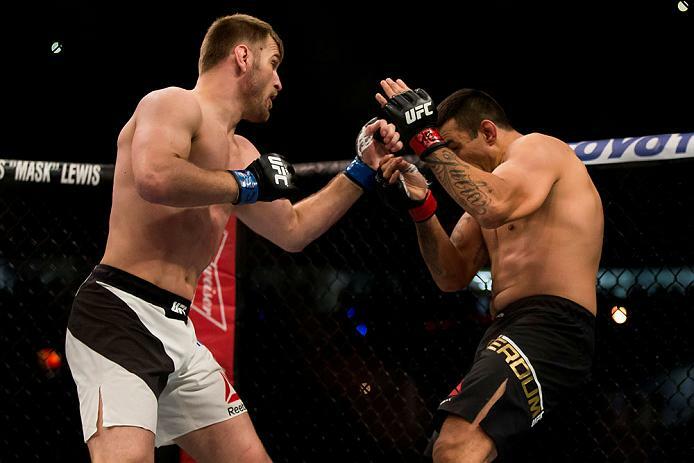 2:47 – The time it took him to knockout Fabricio Werdum to win the UFC heavyweight title. 1 – The round he did it in. 15 – The amount of significant strikes he landed. 45 – The percentage of his significant strikes he landed. 52 – The number of years since Cleveland had a major pro sports champion. When it was all over, Miocic was a world champion and eager to get back home to Ohio. But when he does arrive home, it’s likely that two of his first calls will be to the chiefs at the Oakwood Village and Valley View Fire Departments, where he still works as a firefighter / paramedic. Those calls won’t be to give his two-week notice. Instead, he’ll ask when he’s on duty, because he has no intention of giving up his day job. It shouldn’t be surprising that the 33-year-old is a master multitasker, considering that his athletic life before the UFC saw him compete at a high level in college wrestling and baseball, as well as amateur boxing. But now, everything has changed in the life of the new champion. Everything except his desire to keep working outside the gym. Because he can. And because there is a precedent for fighters also having simultaneous careers outside the Octagon. Former UFC middleweight champion Rich Franklin may be the most notable example, as his gig as a high school math teacher made him the one person put in the spotlight to show a world still harboring misconceptions about MMA that these weren’t Neanderthals thrust into a cage to fight, but intelligent, well-trained athletes who just happened to fight for a living. Longtime welterweight standout Chris Lytle, like Miocic, always kept his day job as a fireman during his fight career, simply because he loved the work. It wasn’t a question of money like it was in the early years of the sport, but the idea that fighting couldn’t be the be all, end all for certain individuals. Take Shane Carwin for example. If not for referee Josh Rosenthal giving Brock Lesnar every opportunity to survive Carwin’s first-round onslaught in their UFC 116 classic, the Coloradan might have become the first man to win the undisputed UFC heavyweight title and keep another full-time job. That didn’t happen, but it didn’t make Carwin’s story any less compelling. A former college football standout who had NFL aspirations, Carwin went back to school when that path didn’t pan out, got a BS in Mechanical Engineering to add to his BA in Environmental Technology, and as he competed in a new sport – MMA – he worked full-time as an engineer. Carwin went on to win four of six UFC bouts before retiring in 2013. He knocked out Gabriel Gonzaga and Frank Mir, the latter bout earning him the interim UFC heavyweight title, and he coached season 16 of The Ultimate Fighter. All while working a full-time gig. 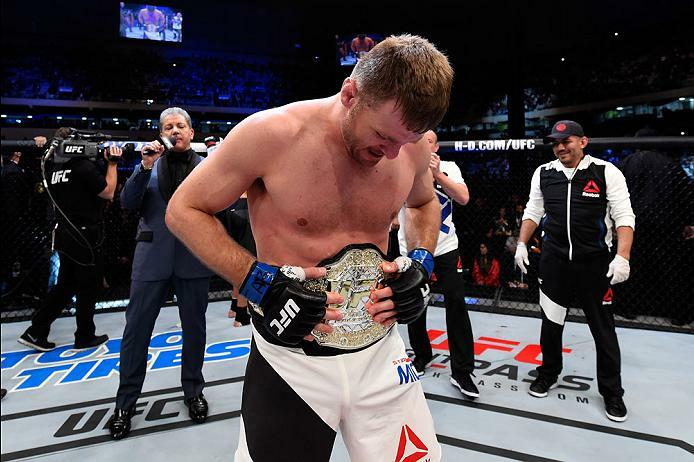 So it can be done, and Miocic, who has worked throughout a UFC career that has seen him go 9-2 with six knockouts, is the latest to do it. And as the cliché goes, if it ain’t broke, don’t fix it. Sure, being a UFC heavyweight champion adds a whole new layer of responsibility in terms of media obligations, appearances, and all that fun stuff, but Miocic was taught early on that it’s pretty important to have a strong work ethic.